Music is often regarded as universal, a common language understood by all. In the same way, human rights (defined in the Universal Declaration of Human Rights adopted by the United Nations in 1948 as the sum of socio-cultural, economic, civic and political rights) must be considered universal regardless of culture, religion or socio-political context. Throughout history, music has been used in one way or another as a political tool. At different times and under different régimes, composers have suffered significant pressure in the creation of their music. In the 20th Century, during the Stalinist régime, the working conditions of artists were subject to the mood of the communist party and its leader Joseph Stalin. Composers Dmitri Shostakovitch and Sergei Prokofiev, for example, were accused of excessive formalism; a term used by the Stalinist authorities when denouncing works considered too complex for the population at large. Some works were regarded as elitist and therefore anti-socialist. On the morning following a performance of the Shostakovitch opera Lady Macbeth of Mtsensk in 1934, Pravda, the official newspaper of the communist party, wrote that "the music was intentionally chaotic and bore no resemblance to classical music [...]. This bourgeois 'innovation' engendered a drift from real art, science and literature." Composers of works that did not appeal to the Soviet authorities lived in fear of deportation to forced labor camps. Shostakovitch and Prokofiev, however, escaped such fates by knowing how to appear relatively compliant. The same control over artistic creations was introduced in China during the Cultural Revolution. Among the works that were condemned as being Western symphonic works was the Butterfly Lovers Concerto composed in 1959 by Chen Gang and He Zhanhao. While some political régimes have restricted the freedom of expression of composers, other régimes have used their music to further their repressive agendas. The most blatant example of this remains the ideological reinterpretation by the Nazis of works by great German composers such as Bach, Beethoven and Wagner. As far as music was concerned, the Nazis traced a stern demarcation line between "German music" regarded as being "genuine," and "non-German" or "degenerative" music. Bela Bartok considered it an honour to be labelled 'degenerate' by the Nazi régime and asked that his music be included in the exhibition Entartete Musik (Degenerate Music) which took place in Düsseldorf in 1938 along with music by Korngold, Hindemith, Weill and Zemlinsky. Some composers such as Richard Strauss, who became a "real symbol of the Nazis" and the first Head of Musical Affairs for the Reich (Reichsmusikkammer), accommodated themselves to this régime. The composer Pfitzner and pianists Backhaus and Elly Ney, were just some of the musicians working for the Nazi régime, performing at concerts for the National Socialist Organization Strength through Joy (Kraft durch Freude, KdF) and providing the musical accompaniment at official ceremonies. Their music thus became a propaganda mechanism stained by all the horrors perpetrated by the Nazi régime. Numerous composers throughout the ages have found an important source of inspiration in human rights issues. Sometimes the anger engendered by violations of human rights has provoked the composer's musical creativity, at other times it is the exultation of these rights that has been the driving force. Long before the proclamation of the Universal Declaration of Human Rights in 1948, basic human rights and freedom had already been a profound source of inspiration in classical music. Beethoven's masterpiece, the Ninth Symphony, was written to Schiller's poem Ode to Joy as a hymn to freedom and human solidarity. Beethoven had removed the dedication to Napoleon for his Third Symphony in the light of the French general's about face. The horrors of the Second World War triggered greater human awareness of individual rights and freedoms as is shown by the creation of the Declaration of Human Rights. 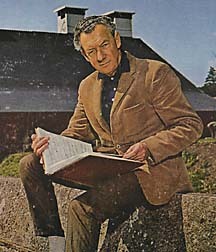 Several composers drew inspiration from such events, such as Benjamin Britten who evokes the atrocities of the two world wars in his 1961 War Requiem. The Requiem was originally composed for three specific soloists (German baritone Dietrich Fischer-Dieskau, Russian soprano Galina Vishneuskaya, and British tenor Peter Pears) as a symbol of reconciliation between these nations. The text of the Requiem includes 9 poems written by Wilfred Owen, a soldier who died in battle during the First World War. The requiem was performed at the consecration of the new Coventry Cathedral in 1962 with the ruins of the original cathedral a poignant reminder of the damage of war. Ironically, Soviet authorities refused to allow Vishneuskaya to perform. Another poem on the violation of human rights during the Second World War, Babi Yar, inspired Shostakovitch's 13th Symphony. Russian poet Yegeni Yevtushenko wrote Babi Yar to tell the tragic tale of the massacre of over 30 000 Jews at Babi Yar in the Ukraine during the Holocaust. Jewish composer Arnold Schoenberg wrote 'A Survivor from Warsaw', a choral work proclaiming solidarity with Holocaust victims. In 1995, composers from the 14 countries involved on both sides during the war, including Pole Krzystof Penderecki, wrote Requiem der Versohnung as a dedication to the memory of those who lost their lives during the Second World War. Penderecki is also the composer of Threnody for the Victims of Hiroshima, a work for 52 stringed instruments remembering the hundreds of thousands of innocent victims who perished in this tragic event. The Chilean poet, Pablo Neruda, wrote his Canto General, as an ode to the struggle of his people for freedom and recognition of their civil and political rights, in the face of violations of these rights by the authoritarian régimes in Latin America. This poem was a profound inspiration for Greek composer, Mikis Theodorakis, himself victim of repression at the hands of the government of his native Greece during the 1960's, to compose his oratorio of the same name. Many of the great names in music have used their celebrity to promote important causes. Countless singers and orchestras use their creative talents to draw public attention to human rights' violations. Barbara Hendricks, who has distinguished herself in her devotion to humanitarian causes, was named Goodwill Ambassador of the United Nations High Commission for Refugees and Special Advisor on Intercultural Relations to the Director General of Unesco. When interviewed by La Scena Musicale in December 1999 she confided: "When I discovered the Universal Declaration of Human Rights, it became imperative for me to promote its ideals and explain to people that we can live together, that there's enough room for everyone. I feel this so deeply that I can't help fighting for it." For several years Luciano Pavarotti has regularly performed at benefit concerts where the proceeds go to charitable organizations such as "War Child" which helps victims of the war in Bosnia. Mikis Theodorakis gave countless concerts to restore democracy in his native country during the 1970's. Through his work, he has also sought to promote the solution of the Cyprus problem and to achieve reconciliation between Greece and the Macedonian Republic during the 1990's. The Argentinian pianist, Miguel Angel Estrella, has also worked for many years to make music more accessible to the under-privileged and was named Peace Ambassador for the United Nations in 1989. Thanks to the initiative of the French conductor Dominique Rammaert, a gathering of young Israeli and Arab musicians took place in 2002 for a one-off concert meant to deliver a message of peace and hope. In December 2003, a concert at the Kennedy Center in Washington brought together the Baghdad Symphony Orchestra and the American National Symphony Orchestra on the same stage for the benefit of the organization "Healing the Divide". Such events emphasize that coexistence between individuals from different countries and different communities long in opposition is possible. Music enables us to move beyond our divisions again demonstrating the universal character of music. Earlier this summer, at the Barbican Centre in London, Daniel Barenboim and his East-West Divan Orchestra appeared in concert. The orchestra, which brings together musicians from Palestine, Israel and other Arab states, "[...] exists as a symbol of what might come to pass in a future age when the rage of war gives way to [...] reason." Though music can be a tool for repression, at the other end of the spectrum, it can be a source of inspiration and a means of uniting peoples. If the recognition of human rights is in constant evolution, history shows us that so too is the use of music in conjunction with these rights. May such music play ever on, bringing with it peace and humanity to our world. This article is the result of a student project initiated by the Canadian organization Rights and Democracy.